Which Sedan is Right For You, the Honda Accord or Toyota Camry? All of your hard work has led you here. It’s down to these two sedans, the 2016 Honda Accord and the 2016 Toyota Camry. Both vehicles have something to offer, but only one can be the right fit for you and what you’re looking for. But which one can it be? 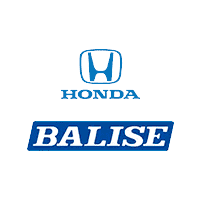 Here at Balise Honda of West Warwick, we decided to break this question down for you using a comparative review. This review includes all of the important categories you look at when it comes to both of these vehicles and the difference-making points that set them apart. The 2.4-liter engine of the Accord boasts more horsepower than that of the Camry, giving you that extra edge you need to get where you need to be on your own terms. It also boasts more pound-feet of torque than its counterpart, showing that this engine is the more complete, powerful option of the two. When it comes to crash test ratings, the Accord is the sedan you will want to own. This vehicle has a better overall frontal barrier crash rating than the Camry, giving you that extra peace of mind you’re looking for when you head out on your next trip. Don’t forget about the side pole rating for the front driver seat or the rollover rating, where the Accord comes out on top as well. This vehicle is well known for being a trustworthy option you can rely on. You’re really going to enjoy the spacious, accommodating front seating in the Accord, which has more front leg, hip, head and shoulder room than its sedan competitor. With this amount of space, you’re not going to have a hard time settling in for the drive ahead of you. Your passengers won’t have trouble adjusting either, with more passenger volume giving them plenty of room to unwind and really decompress. If you need to bring some extra gear with you, then you will enjoy the extra cargo space the Accord holds over the Camry. Those long weekend trips you planned just got a whole lot more convenient. The Honda brand is well known for its vehicle reliability. When you purchase the Accord, you’re taking on a sedan that won’t let you down out on the road, and that you will feel fully confident placing all of your trust in. This goes a long way when you consider how often you’re in your vehicle on a daily basis. When you purchase a new sedan, you should feel confident that it will last for the long haul. Honda vehicles are also widely recognized for their durability, something you’re really going to like with the Accord. For a similar model, you’re receiving great value when you decide to purchase the Accord over the Camry. You’ve already seen the vast amount of reasons this vehicle excels, so that should be pretty apparent to you by now. Weighing all of these factors together, it should now be a no-brainer to you which vehicle is the more complete option. Our sales team here at Balise Honda of West Warwick is more than happy to go over more of the specifics with our new Accord lineup we have available here on our lot, and would be thrilled to show you this vehicle up close and personal in our showroom. We’re very confident you’re going to be satisfied with what you see.